Environmentally Friendly toy company, Sprig Toys has introduced some new characters and playsets for 2009. Designed for the active preschool child, Sprig’s vehicles, character bodies and play sets are molded using SprigwoodTM – a child-safe, bio-composite material made from recycled wood and reclaimed plastic. 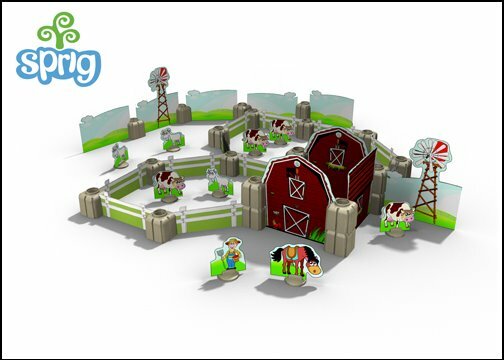 Sprig Hollow and Story Blocks Farm Set are the company’s newest additions to their popular line.